I am the author of The Truth about God and of Atheism: Q&A (see below), and for seven years lectured on philosophy at the Ohio State University. For one semester while an undergraduate, I was also a cartoonist for the college newspaper. A sample of my comic panel, Out of Order, can be seen here. 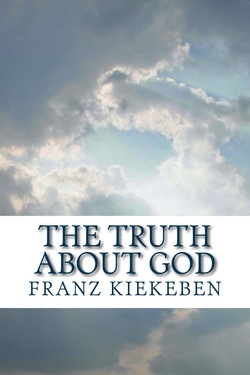 ​In this short work, Franz Kiekeben dispels the most common misconceptions people have about atheism, and in doing so suggests how atheists might deal with the kinds of things believers sometimes say. An added section covers such topics as whether America is a Christian country, the errors of presuppositionalism, and much more. Can we prove that God does not exist? Franz Kiekeben, a former lecturer in philosophy at Ohio State University, claims that we can. In this radical new defense of atheism, Kiekeben shows, among other things, that the strongest arguments for God's existence fail; that the Bible offers no evidence in support of theism; that morality does not depend on the existence of a creator; and most important and surprising of all, that no gods can possibly exist. "A good cumulative case and the correct conclusion... the basic argument... is, to me, incontrovertible." – Jonathan M. S. Pearce, author of Free Will? An investigation into whether we have free will or whether I was always going to write this book (2011), The Little Book of Unholy Questions (2011), The Nativity: A Critical Examination (2012), and The Problem with "God" (2015).